Wild Chords makes learning to play the guitar easy, fun and motivating. A real guitar is required to play the game. We are so glad we discovered this really fun app! Great for kids. Wild Chords is a casual music learning game, suitable for beginners of all ages. It teaches you the most popular chords, and also includes melody and scale exercises for lead guitar playing. The game is played with a real guitar (acoustic or electric), and requires no additional equipment to be played. The iPad recognizes each chord and note you play, and tells you whether you’re playing right or wrong. To play the first exercises you don’t need any previous guitar experience. Master one level, and you unlock the next one. The following levels are just slightly harder than the previous ones, so you can pass them after a few tries as your skills improve. Some of the final exercises (Demo package) are hard enough to even get guitar teachers to sweat! Ovelin city has been taken over by escaped zoo animals. Fortunately, the animals can be hypnotized with guitar music, and then lured out of the city (“Modern Pied piper of Hamelin”). Now it’s your task to help Giuseppe save Ovelin city. It’s fun, challenging, and the best thing is, you really learn to play the guitar! Our vision is to make the world a more musical place, and help people to learn to play a music instrument. Please let us know what you think about WildChords, and if you have any feedback. – Please also tell us about your success moments with Wildchords, we love to hear those! – If you dislike the game, please tell us why, so we can improve it. Please don’t give 1-star ratings if you already are a good guitar player and find the levels too easy, or if you don’t have a guitar at all to play the game. This fun little app is FREE with NO ads and NO in app purchases. Just a little X-mas Gift from echoLogin for your enjoyment. Capture and share your sounds on-the-go with the official SoundCloud app for iPhone and iPad. Record a voice, moment or original music in seconds and share it privately or publicly on Facebook, Twitter, Tumblr and Foursquare. Easily access, browse and listen to the sounds people share with you, wherever you are. The latest app is more social then ever, making it even easier to explore, like and comment on sounds right from your mobile. Share your sounds with the new SoundCloud iPhone and iPad app. Introducing the SoundCloud iPad app from SoundCloud on Vimeo. LoopJ is the heart of mobile music innovation, first presented in January 2011 in Cannes at MIDEMNet Lab. Powered by cutting edge technology, it is basically the first truly INTERACTIVE DJ STATION in the world. Feed it with your own music and rule the universe! This particular app is primarily aimed at MUSICIANS who will enjoy playing their music in a new interactive way, and this is why it is FREE for anyone. It was created as a showcase for Amidio’s .loopj interactive music standard, based on our research that nearly every existing dance music track can be split into 5 LAYERS that will always sound good together. Even for NON-MUSICIANS, there are 5 great free bundled TRACKS in the app (created by an aspiring electronic musician Sentatic), so anyone can give LoopJ a try and feel the power of the interactive dance music right away. Think of LoopJ as of a mini DJ-optimized version of Ableton with fixed layout, optimized for touch-screen performances, always ready when you’re on the go. You don’t need a separate MIXER, since there are 2 .loopj decks always playing together at the same time, always TIME-STRETCHED to have the same BPM, so you’re always guaranteed a perfect mix. Loading new tracks is seamless and doesn’t interrupt the mix. You can even spice the mix with LP/HP multitouch filters and 3 built-in FX – Rhythmic Delay, Gate Splitter, Glitch Repeater. You also have a Global HPF Filter which is basically a Fast-EQ. Recording to .WAV/.M4A is available as a separate in-app purchase for a modest price. 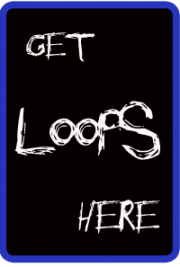 To get your OWN MUSIC into LoopJ, all you have to do is to convert your tracks into the .loopj format, which is as easy as extracting different parts of your track into 20 fixed .wav loops, 4 loops per 5 layers: BEAT, BASS, LEAD, ATMO, REAT. Bundle it with a track image, description, pack it into a .zip file, then upload it freely into LoopJ and play it! Please refer to the the built-in MANUAL for the complete description of the .loopj standard, the process of converting and uploading your tracks into LoopJ, and the functionality of the app. THIS IS THE VERY FIRST PUBLIC VERSION OF LOOPJ. WE DELIBERATELY MADE IT FREE BECAUSE WE REALLY WANT THE MODERN MUSIC TO BECOME INTERACTIVE. LOOPJ IS THE STANDARD WE PROPOSE. YOUR GOOD REVIEWS WILL HELP US TO DEVELOP LOOPJ FURTHER AND TAKE IT TO UNBELIEVABLE HEIGHTS!